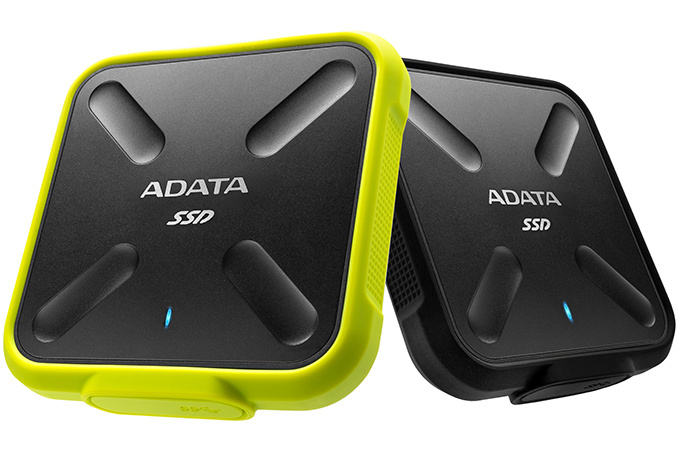 The ADATA SD700 comes in a metal enclosure with rubber inlays/pads to ensure hermetic sealing and shock resistance. The company plans to offer three configurations of the drive with 256 GB, 512 GB and 1 TB capacities, all featuring up to 440 MB/s read speed (as conditioned by the maximum real-world transfer rate of USB 3.0 interface due to overhead incurred by 8b/10b encoding). The claimed transfer rates of the SD700 are the same as those of the Samsung Portable SSD P3 (which also used 3D NAND), but the real-world performance of the novelty is yet to be discovered. From a compatibility point of view, the external drives are also similar: they can work with Microsoft Windows, Google Android and Apple macOS.